FileMAP 342c - Goad's Atlas of the City of New Westminster, B.C. The creation of the position of City Engineer was required by bylaw #1. In addition to their other responsibilities, early City Engineers advised the Board of Works with what projects were necessary and presented them with recommendations on tenders. The Engineer also supervised an assistant engineer who carried out surveys, a street inspector, and the city’s scavengers who performed refuse collection. The Office of the City Engineer received and sent correspondence on behalf of his divisions for certain matters (particularly in the early years, when the “City Engineer” and “Engineering Department” were nearly synonymous), produced manuals, reports, and publications; and otherwise contained documents which were directed to or emanated from the position of City Engineer proper. From time to time, the City Engineer would be involved with special committees, such as the Metric Conversion Committee from 1977-1979. 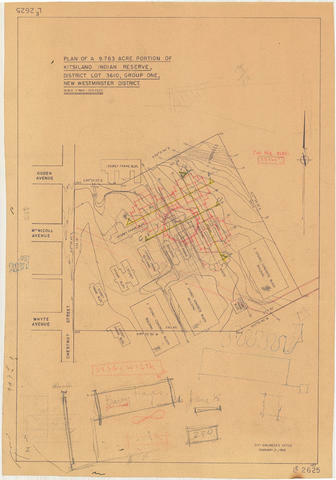 Item is a map depicting the area of the former Department of National Defence site at Kitsilano Point (now part of Vanier Park). 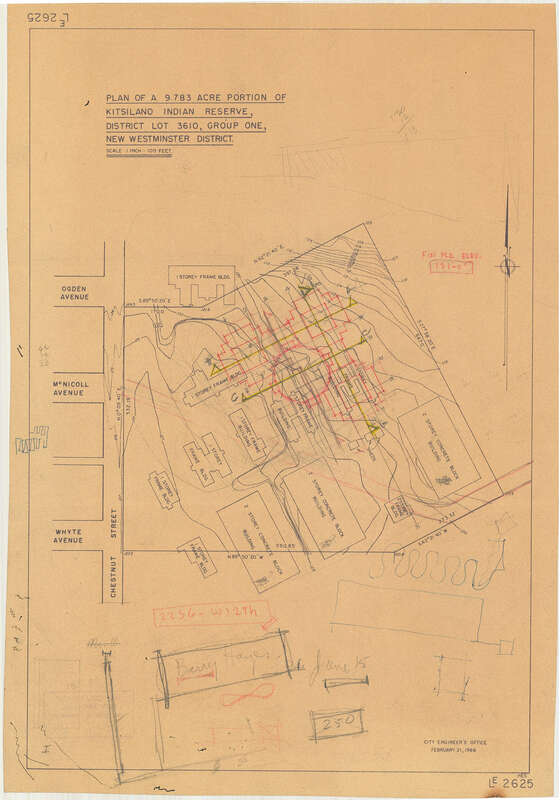 The map shows the locations of the various Defence buildings on the site. Annotations depict what appears to be draft layout of the Museum of Vancouver and Planetarium buildings superimposed on the site. Copyright: City of Vancouver; expiry: 2042-01-01.